501 - 1701 Lampman - Bradbury Estate Realty Inc.
: UNIT 10, Level 1 HCP 406. 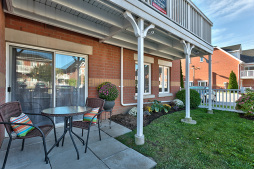 GORGEOUS 2-bedroom, 2 bathroom ground floor corner condo with walk out to fenced patio/yard. 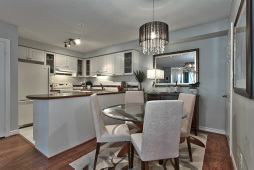 This open concept condo is where beauty and functional design meet! The upgraded kitchen has loads of counter space and pull out cupboards for all of your cooking needs. Corian counters, new backsplash, upgraded cupboards, high-end engineered floors throughout make the open concept living area feel spacious and luxurious. The master bedroom is bright and boasts a large walk-in closet and new 4-piece bath. 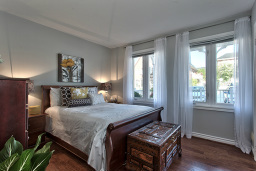 Guests can spend the night or create an office space in the spare bedroom. There is also TONS of storage, in suite laundry and 2 parking spaces #34,#35 at your front door. The location is AMAZING. 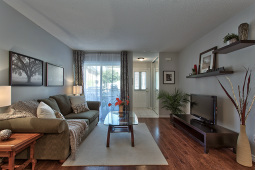 Walking distance to grocery stores, restaurants and shops, schools, daycare and parks! 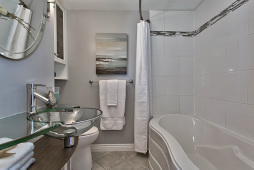 A quick 2-5 minutes to the QEW or 7 minutes to the Go station. Ideal for professional single or couple, or downsizing seniors Shows 10+.